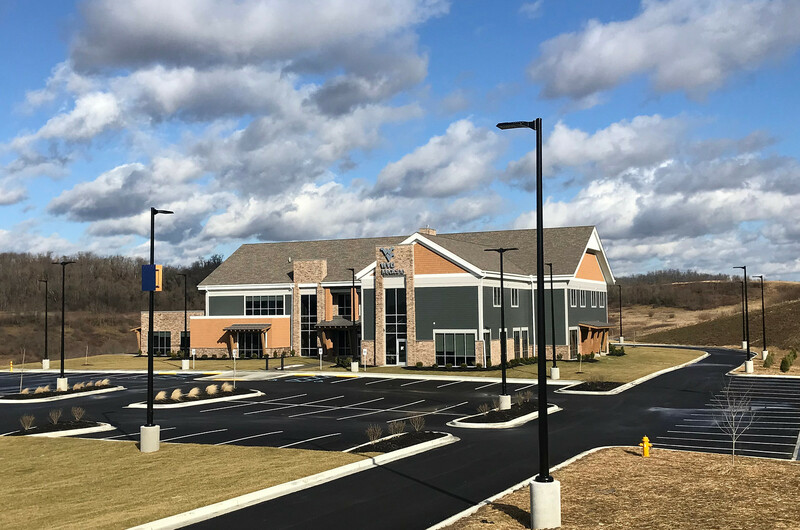 The new WVU Medicine Center for Hope and Healing works to support adults struggling with substance use disorders through medically managed withdrawal stabilization and residential treatment. WVU Medicine and the WVU Department of Behavioral Medicine and Psychiatry already offer a comprehensive menu of outpatient services for people with substance use disorders, and the addition of withdrawal management and 28-day rehabilitation completes the in-house continuum of care for these disorders. The Center is a 29,305-square-foot addiction treatment facility that offers 12 beds for subacute medically managed withdrawal residential care and 30 beds for residential care up to 28 days. To provide hope and a healing environment to people with substance use disorders. We are here to serve the needs of West Virginians who have substance use disorders. The Center for Hope and Healing provides a blend of individual care and group therapy mixed with psychiatric/medication care and social services in a caring and judgment-free environment. The care is delivered at a site where only those with a substance use disorder are admitted. This creates a more welcoming environment than a typical behavioral health clinic. The services and programs at the Center for Hope and Healing – case management, medically monitored detox, residential, medication-assisted treatment, individual and group counseling, and peer recovery coaching – all come together to create a comprehensive, holistic treatment program for our guests. Our guests receive a continuum of care that is ordinarily found at multiple sites by different providers. At the Center for Hope and Healing, we deliver each of these forms of care as needed in one central location.